← Run? Only When Chased! Mac & Cheese… Breakfast of Champions? Amelia with her food of choice. Three children later… how I have fallen! As someone who has always battled weight, eating habits are a big concern of mine. You wouldn’t really know it because on the whole, my kids eating habits are pretty poor and they are really picky eaters. The three of them each have one main food staple that they love. My oldest would survive solely on McDonalds Chicken Nuggets. Even though McDonalds keeps insisting that they are really healthy, I have my doubts. My middle daughter is all about the carbs. She adores plain pasta. 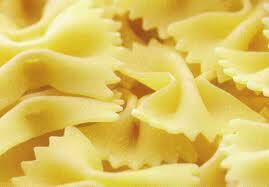 Bone dry pasta without even a drop of butter. If it glistens, she will hand it back. Talk about the anti-Atkins! Her newest picky eater habit, which I feel compelled to share, is to take cheese off of pizza- which completely perplexes me. Cheese makes everything better! Who would take it off? I believe this move is not really about being picky but rather a show of solidarity for her good friend who has a dairy allergy. While I admire her loyalty, it makes me crazy! And who do you think eats the cheese that gets pulled off? Can you really blame me? It would be sinful to let good pizza cheese go to waste. 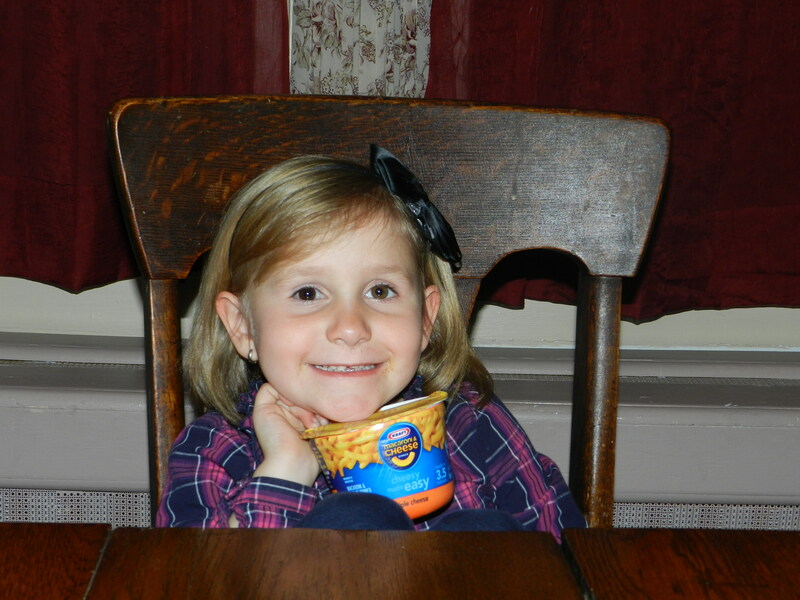 Then there is Amelia whose food of choice is Macaroni and Cheese. She will eat Macaroni and Cheese for breakfast, lunch, and dinner. And on many days she has. She doesn’t even like to frequent restaurants who do not serve this culinary masterpiece. We have been out to dinner where she has actually refused to eat because Macaroni & Cheese was not on the menu. All I can say is thank heavens for EasyMac. Do I want her to eat better? Of course I do. I would like all of them to make better food choices. I just refuse to battle over meals. When I was in elementary school my best friend would only eat hamburgers from McDonalds. Seriously, that was all she would eat. Her mother was besides herself. I always remember she and my mother talking about it. I recall the pediatrician told my friends mother to let it go. At least she was eating and eventually she would grow out of it. I haven’t seen her in about 20 years, but I am sure she has expanded to other food groups by now. This entry was posted in Diet & Nutrition, Motherhood and tagged choose your battles wisely, dry pasta, food staple, healthy eating habits, mac & cheese, mac & cheese for breakfast, macaroni & cheese for lunch, McDonalds chicken nuggets, picky eaters, pizza cheese, plain pasta, poor eating habits. Bookmark the permalink. 6 Responses to Mac & Cheese… Breakfast of Champions? It reminds me of that Bill Cosby comedy routine, where the kids actually trick him into serving them chocolate cake for breakfast!! We love Amelia and all the girls, no matter what they eat!! That is such a great picture of Amelia I cant stand how adorable she is! By the way i love the lip gloss!! 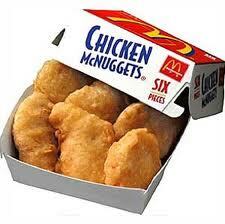 I do not jusy eag McDonalds chicken nuggets. They are good though. I had a room mate in college that ate hot dogs for breakfast! So maybe it can last forever?! 😉 Breakfast is such an important meal and if Mac and Cheese is what Amelia wants to eat then I support it! I agree! I wonder if she still eats hot dogs?